I wrote about a similar basket from my collection back in 2009. 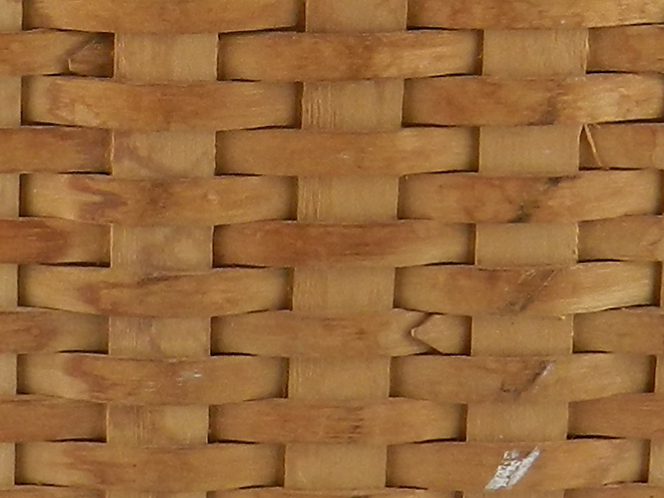 Like that one, this basket was woven by Ben Higgins (1894-1981) of Chesterfield, MA. Ben was a prolific basket weaver working in white ash as his father had before him and made many styles and shapes of baskets. Apparently he also made variations of the same basket as this new one is the exact same size and shape as the "automobile lunch" basket except this one has a pair of swing handles. 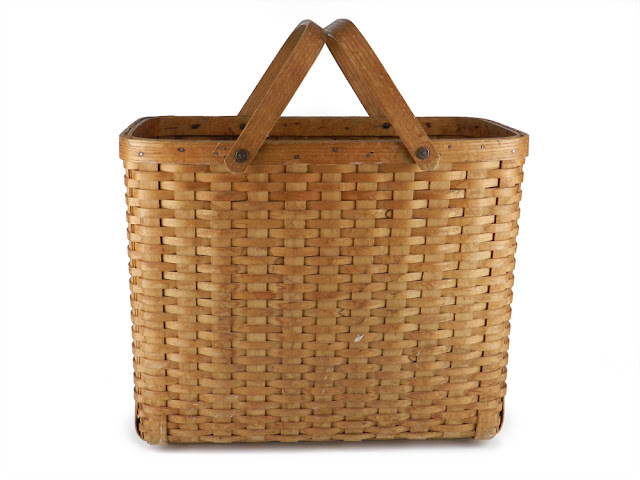 While Higgins baskets are easy to find, they are often not recognized by the owner/seller. My father had purchased this basket in Massachusetts, neither he nor the antique dealer he bought it from knew what they had. The rims on these baskets are made from four pieces, two for the outside and two for the inside. The tell-tale signature of Higgins' rims is the triangular tips and three nails. 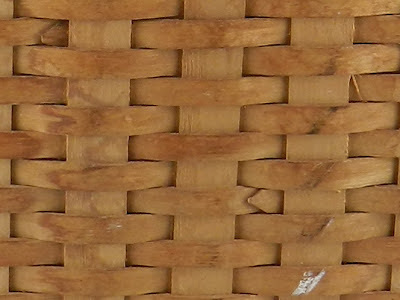 Another signature of Higgins' baskets are the pointed tips (like the rims) of the weavers. 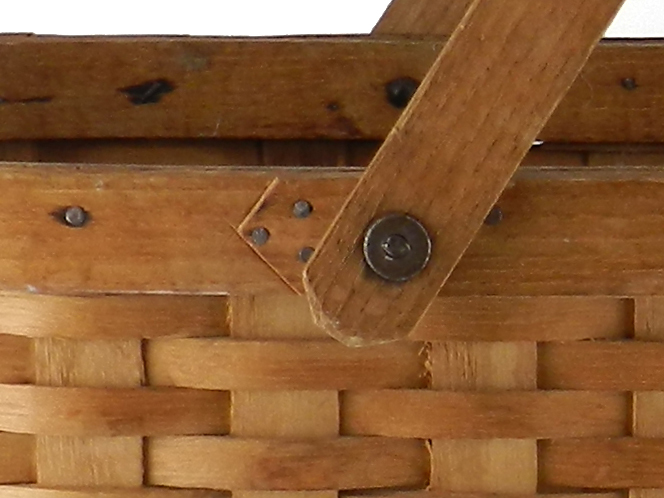 I have never seen these details on any other basket maker's baskets.